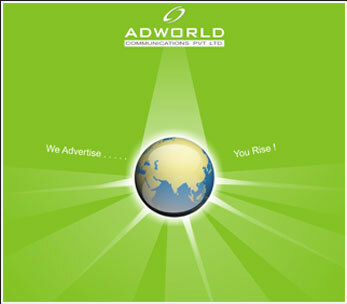 Adworld provides professional communication and advertisement services from Corporate Identity to brand launching and sales promotion, as well as, planning advertising campaigns and awareness. 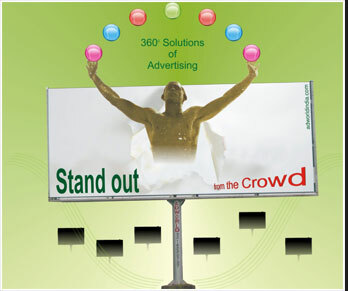 Successful Advertising creates an immediate emotional, call-to-action response as it builds equity in your Brand. With the proper frequency and reach, the prospect, customer or client takes in your core message and is likely to aggregate value to your Brand. We craft such Advertisements that are not only creatively brilliant, but also effective in driving leads and sales for products and services. 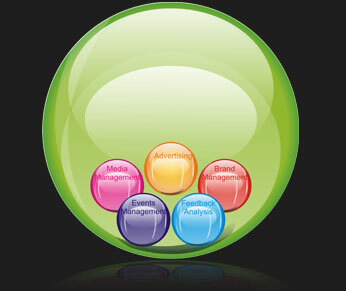 Identifying the right media for communications is crucial. Understanding Target Audience (with proper segmentation) is the key to building Brand Awareness, Conversions, Transactions and Lead Generation. A strong corporate identity is created through the proper use of visual elements, which define and represent what your organization stands for. Words and images work together to transform a corporate paradigm into a memorable visual, capable of creating an emotional connection with your target market. Staying ahead of the competition can be a challenge. It takes more than a little time and effort to produce truly creative and effective marketing solutions to help your business grow and thrive. Our team is equipped with the knowledge and expertise to meet your expectations and needs by offering integrated quality services. Every time you saw a programme like 'Filmfare' awards or ‘pop concerts’ or ‘IPL’ you would have wondered how people managed to set up such brilliant shows. Every tiny detail from your entering the venue to your going out is a result of meticulous planning. Well … that's Event Management for you. The importance of Feedback Analysis in the Integrated Marketing Communications process is straight-forward: it points to results. Feedback Analysis helps you understand your target audiences, so your brand can start to “emotionally connect” with them. By defining what your target market is, you can also anticipate the future environment your organization will be working in.